MyFurFriends (www.myfurfriends.com): Why choose Grain Free Dry Doggie Food for your Furkids? Why choose Grain Free Dry Doggie Food for your Furkids? Does your furkid suffer from skin and coat issues? Easily upset stomach? Gastrointestinal issues? Weight gain problems? Allergies? We have the solution for you! YES, we are all pet parents and we know how frustrating it is to see our poor furkids suffer from all the itchiness and being obese. On top of that spending tons of money going to the vet! Petit's GRAIN FREE dry food can help to combat against all these problems. Too good to believe? Read on and you will understand why. The packaging is also super PRETTY & COOL! 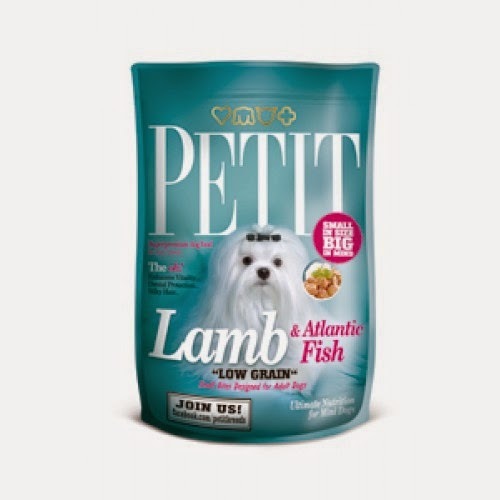 RESEALABLE PACKS for freshness guaranteed and 2 different SIZES to ensure that your furkid only receives FRESH FOOD! You can purchase these awesome kibbles for your furkids that we are talking about at www.myfurfriends.com at UNBEATABLE PRICINGS! 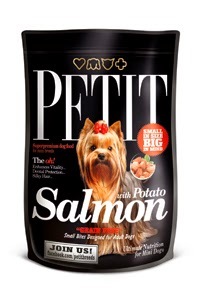 2) Petit's Grain Free Dry Food contains ingredients such as Potatoes, Sweet potatoes, Green peas and even Tapioca as an alternative to carbohydrates. 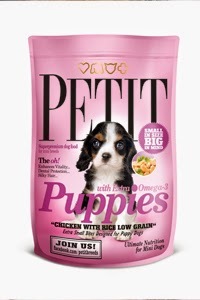 These are much better alternatives as compared to other dry food given to your furkids that contain Corn, Rice & Oats. Research has also shown and proven that RICE AND CORN especially, are rated high on the allergy level scale. 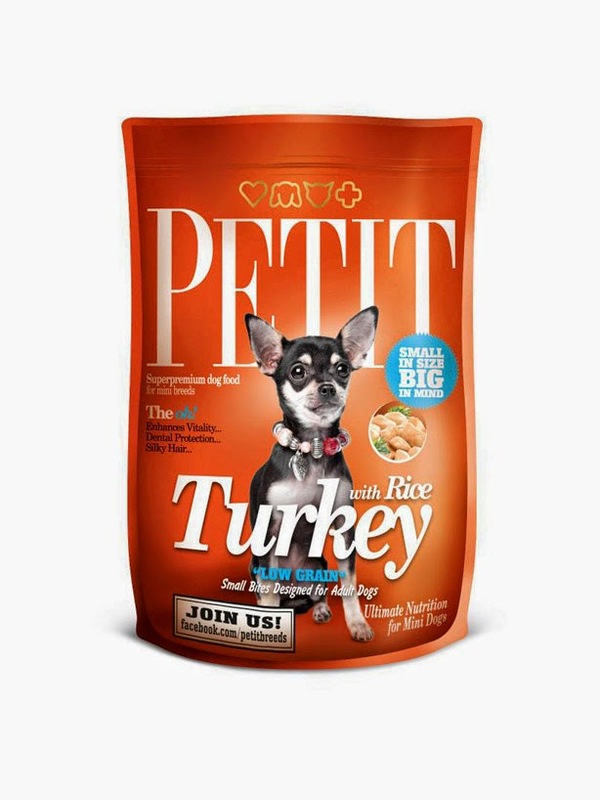 3) As Petit's Grain Free Dry Food contains other types of carbohydrates, it makes it easier for your furkids' tummy to digest too. It has been proven by many Pet advisors that grains are more difficult to digest in the tummy of our furkids. That is because grain consuming animals would normally possess one powerful weapon that our furkids (the carnivores by nature) usually lack. This is a special enzyme that most herbivores and us humans will produce in our saliva during consumption of grain, and it is needed to break down starchy carbs into the simple sugars for better digestion in the tummy. Our furkids do produce this enzyme as well, however it is only much further down the digestive tract (small intestine) does this happen. Thus, their saliva is actually mostly AMYLASE-FREE! 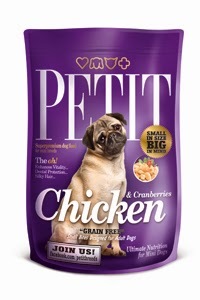 4) Petit's Grain Free Dry Food is suitable for all stages for your furkids as they have a whole range starting from PUPPIES till SENIORS, & whats more? IN DIFFERENT FLAVOURS TOO! 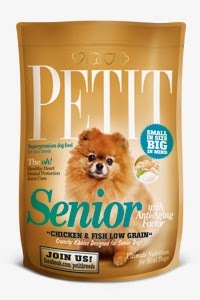 5) Other health benefits for Petit's Grain Free Dry Food is that it also reduces the likelihood of getting diabeties. Another reason to choose PETIT! 6) In humans we often have diets called the "Protein diet" if you were to google for humans, where it consist of low carbs and high protein in order for a human to slim down effectively and healthily (I'm not lying, cause it works for me effectively, I tried the protein diet ^^ don't laugh! Way better than eating veggies & living like a cow hahah or starving yourself). It works the same way too for our furkids. It is backed up by many studies & evidence that have shown that it is working effectively in cats. The same results for doggies too. Here's a short video clip for your enjoyment!